This is a very easy contest. Just select your favorite activities and fill up a simple form. 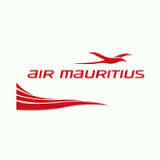 Make sure before participating in the contest, just like https://www.facebook.com/AirMauritius. You can take part in the contest here.